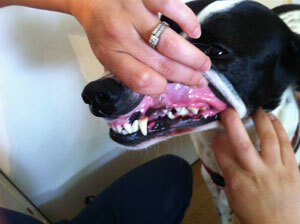 Ideally, dental cleanings on dogs and cats are preventative maintenance just as with people. The mouth is the doorway to our internal organs and if it is unhealthy it sets the stage for the rest of the body to follow suit. A thorough dental cleaning is one way to prevent oral disease that could contribute to other diseases down the road. If there are deep pockets that cannot be remedied or if a tooth is loose which means that the disease process has gone too far for us to save the tooth, we, with the owner’s permission, remove the diseased tooth. Once diseased teeth are removed, the mouth is an amazing self healer and the gums will cover the area where the tooth once was. If there are any fractured or chipped teeth, we will consult with the owner as to whether they want us to remove them as a fracture creates an area for bacteria to congregate and eat away at the tooth. Also, if the fractured area is deep enough in the crown, it can be close to the nerve root of the tooth, be quite painful to the animal and be a route for infection to get into the body. Again, once the tooth is removed the mouth heals up very fast and goes on as if the tooth was never there! We make a detailed report of any teeth that were abnormal and what was done about them. With that information documented, the next time we go in to clean the pet’s mouth we can monitor areas we were previously concerned about. Remember, dental cleanings on pets should be preventative maintenance, so it is recommended that their teeth be cleaned on a yearly basis. 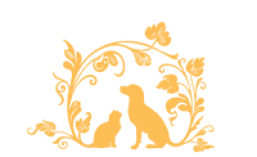 Having said that, some pets may need a cleaning more frequently than that due to crowding of teeth, poor genes or trauma to the mouth.